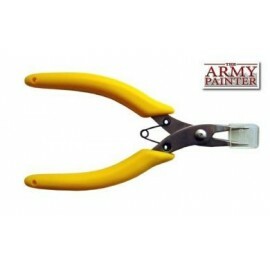 Designed for use primarily with metal miniatures, these stainless steel Hobby Pliers come with soft, comfortable grip. The pliers are useful for holding onto small bits as they get filed or attached using superglue. The rifled grip of the pliers make them ideal for bending metal miniatures (like arm twists etc.). They are made in stainless steel.